To find out more about the resources and services SSTI offers, please contact us at 614.901.1690, or send us an email at contactus@ssti.org. 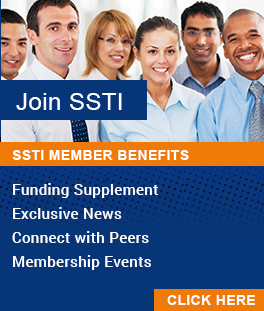 Information about SSTI staff members may be found here. For membership opportunities, please click on Membership above, or contact Jason Rittenberg. Information about the Regional Innovation Acceleration Network (RIAN) may be found here, or by contacting Mark Skinner at 614.901.1690.